A. First, click on the Start button (Windows 7) or from the Start screen (Windows 8) type “one.” If it is installed, you should see it pop up in the list of programs. When you start it for the first time, it will go through some additional setup steps. You might have to close and open any Office programs to see it in the ribbon. In Outlook, for example, you’ll see it in the Move group on the Home tab. It’s possible that it wasn’t installed when Office was installed. From the Control Panel, find Programs and then Microsoft Office Professional. You might have to first navigate to Programs and Features or Add/Remove Programs depending upon which operating system you use. Select Change at the top of the list. Choose Add or Remove Features. You’ll see a list of all Office programs. 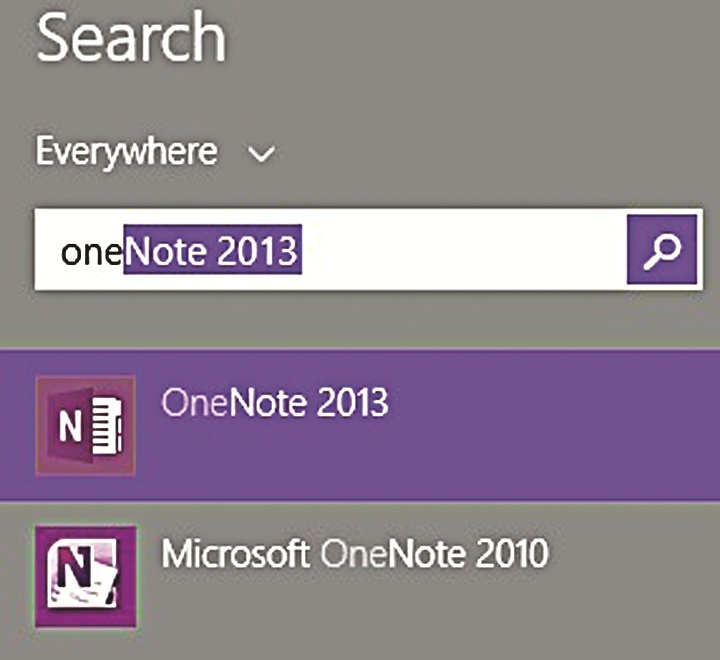 Expand OneNote and click Run All from My Computer. You may have to restart your computer to see it integrated everywhere it is supposed to be.